About the Authors Nicholas A. Ashford, Ph.D., J.D., is Professor of Technology and Policy at the Massachusetts Institute of Technology, where he teaches courses in Environmental and Occupational Health Law and Policy. He was Chairman of the National Advisory Committee on Occupational Safety and Health, served as Chairman of the Committee on Technology, Innovation, and Economics of the EPA National Advisory Council for Environmental Policy and Technology, and was a member of the EPA Science Advisory Board. He is a Fellow of the American Association of Science and serves as an advisor to the United Nations Environmental Program. He holds a Doctorate in Chemistry and a Law Degree from the University of Chicago, where he received graduate training in Economics. Claudia S. Miller, M.D., M.S., is Assistant Professor in Environmental and Occupational Medicine in the Department of Family Practice at the University of Texas Health Science Center in San Antonio. She is boarded in Internal Medicine and in Allergy and Immunology, and holds a Masters Degree in Environmental Health. Prior to entering medical school, she worked as an industrial hygienist and served on the National Advisory Committee on Occupational Safety and Health. Since 1993, she has been an environmental consultant to the Houston VA Regional Referral Center for Gulf War veterans. She holds appointments on two national scientific panels, the Department of Veterans Affairs' Persian Gulf Expert Scientific Committee and the National Toxicology Board of Scientific Counselors. Her research focuses on the health effects of low-level environmental chemical exposures including indoor air pollutants, pesticides, and chemicals used during the Gulf War. 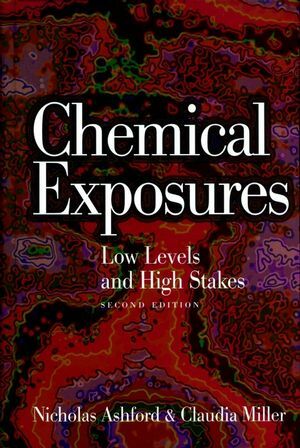 Chemical Exposures and Sensitive Populations. Origins of Multiple Chemical Sensitivity and Effects on Health. Mechanisms of Multiple Chemical Sensitivities. UPDATE SINCE THE FIRST EDITION. Key Research Findings Since the First Edition.